Renewable generating technologies offer an effective means for climate change mitigation. Policy makers, however, are wary because of the widespread perception that these technologies cost more than conventional alternatives so that increasing their deployment will raise overall electricity generating costs. Energy planning represents an investment-decision problem. Investors commonly evaluate such problems using portfolio theory to manage risk and maximize portfolio performance under a variety of unpredictable economic outcomes. Energy planners need to similarly abandon their reliance on traditional, “least-cost” stand-alone kWh generating cost measures and instead evaluate conventional and renewable energy sources on the basis of their portfolio cost – their cost contribution relative to their risk contribution to a mix of generating assets. Energy security generally focuses on the threat of abrupt supply disruptions. This paper suggests a more profound aspect: mitigating fossil price volatility. An extensive body of research indicates that fossil volatility significantly disrupts the economies of consuming nations, potentially exacting hundreds of billions of dollars from the US and EU economies alone. Energy security is reduced when countries hold inefficient portfolios that are needlessly exposed to fossil price risks. This paper describes essential portfolio-theory ideas and uses three case studies to illustrate how electricity-generating mixes can benefit from additional shares of wind, geothermal and other renewables. Compared to existing, fossil-dominated mixes, efficient portfolios reduce generating cost while including greater renewables shares in the mix thereby enhancing energy security. Though counter-intuitive, the idea that adding more costly renewables can actually reduce portfolio-generating cost is consistent with basic finance theory. An important implication is that in dynamic and uncertain environments, the relative value of generating technologies must be determined not by evaluating alternative resources, but by evaluating alternative resource portfolios. Awerbuch, S. and Berger, M.: 2003, Energy Security and Diversity in the EU: A Mean-Variance Portfolio Approach, IEA Report Number EET/2003/03, Paris: February http://library.iea.org/dbtw-wpd/textbase/papers/2003/port.pdf. Biewald, B., Woolf, T., Roschelle, A. and Steinhurst, W.: 2003, ‘Portfolio Management: How to Procure Electricity Resources to Provide Reliable, Low-Cost, and Efficient Electricity Services to All Retail Customers,’ Prepared for: The Regulatory Assistance Project and The Energy Foundation. Cambridge, MA: Synapse Energy, www.synapse-energy.com. Leiby, P.: 2002, ‘Oil Use and U.S. Energy Security Problems and Policy Responses,’ Washington DC: Symposium on U.S. Energy Security, Resources for the Future, January 28. http://www.rff.org/rff/Events/AST28/loader.cfm?url=/commonspot/security/getfile.cfm&PageID=6474. Pacificorp: 2003, Integrated Resource Plan, http://www.pacificorp.com/File/File25682.pdf. 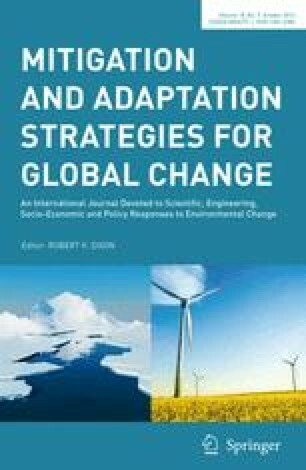 Springer, U. and Laurikka, H.: ‘Quantifying risks and risk correlations of investments in Climate Change Mitigation,’ IWOe Discussion paper No. 101, University of St. Gallen; ISBN 3-906502-98-8 www.iwoe.unisg.ch/org/iwo/web.nsf. Stirling, A.C.: 1996, On the Economics and Analysis of Diversity, Paper No. 28 Science Policy Research Unit (SPRU) University of Sussex, www.sussex.ac.uk/spru. Union of Concerned Scientists: 2003, Renewable Energy Can Help Ease Natural Gas Crunch, www.ucsusa.org/clean_energy/renewable_energy/page.cfm?pageID=1370.